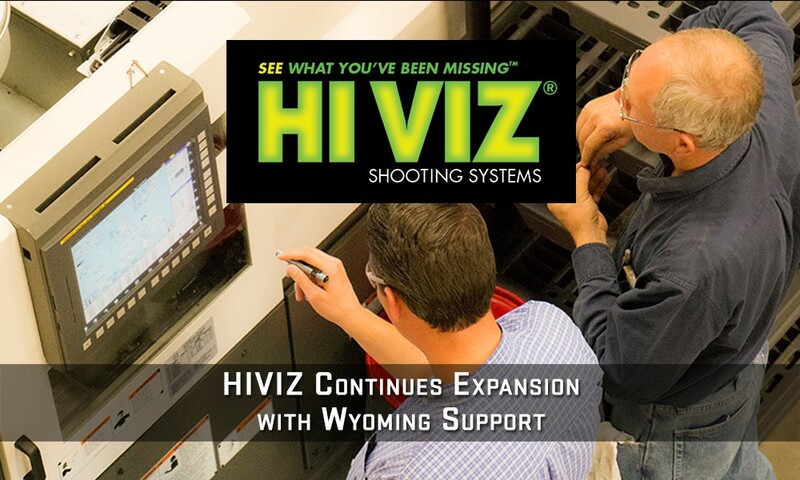 LARAMIE, WY – HIVIZ® Shooting Systems continues to experience rapid growth and expansion due to innovative product designs, growing manufacturing capabilities, significant new business awards, and a strong relationship with the State of Wyoming and City of Laramie. Construction of a second manufacturing facility is underway with ground breaking planned for April. HIVIZ continues to recruit and hire excellent staff and will be adding another 50 staff members to the existing 51 staff in the next year or two. In mid-2015 HIVIZ began the process of bringing in all external, third-party manufacturing into its new facility in Laramie, Wyoming. This new facility was made possible by terrific support from the State of Wyoming, the City of Laramie, and the Laramie Economic Development agency. By bringing the complete manufacturing capability in-house, HIVIZ has been able to be very competitive producing its own products as well as those of its customers. In January, the State of Wyoming once again committed to support HIVIZ with a $3 million grant to build a second 20,000 square-foot manufacturing facility on the HIVIZ campus in Laramie. This new facility will allow HIVIZ to continue to expand its already robust MIM (Metal Injection Molding) and CNC (Computer Numerical Control) manufacturing capabilities. HIVIZ currently produces all its own sight products as well as an increasing amount of its customer’s sights and firearms components in its Laramie facility. The Laramie Chamber Business Alliance recently recognized HIVIZ with the “Large Business of the Year” award at its annual banquet, proving that the dedication of HIVIZ to Laramie and the state of Wyoming is recognized and appreciated by the local community. 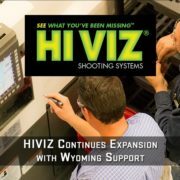 HIVIZ is excited for the future and the impact it will have on both the shooting sports industry and our home state. Copyright © 2017 HIVIZ Shooting Systems, All rights reserved. You are receiving this email because you are a valued member of the HIVIZ Shooting Systems team!